In bunkers, the angle of attack is crucial in obtaining a consistent strike. The club needs to be coming into the ball steep enough to take the right amount of sand before the ball, allowing us to utilize the bounce on the golf club. As TG Elite Teaching Pro Rob Watts explains in this golf video tip, the correct hinging of the wrists the way we achieve this perfect approach. 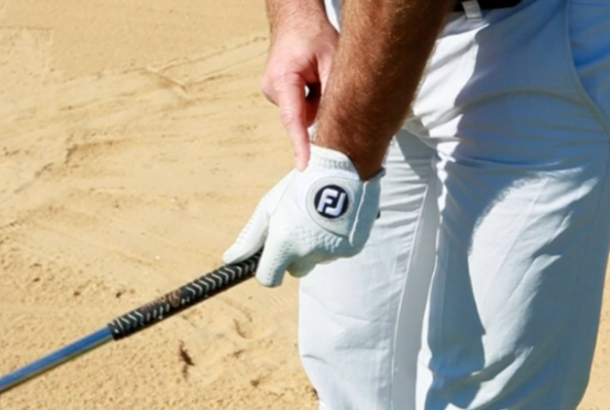 The goal is for the wrists to hinge up and down, avoiding any lateral rotation of the hand and forearm. Watch this clip and you’ll get up and down from sand every time.